When it comes to finding a foundation that performs in the way you need it to, finding 'the one' can be a daunting task! As I have always said on my channel and in previous posts I never just stick to one foundation, I like to switch things up based on the desired look I want to achieve. Locating a great everyday foundation can be difficult especially since everyone and their mum have varying opinions on what constitutes the 'ideal base' I think the main thing to establish is what kind of complexion you want to achieve and also what your skin needs are..hydration,coverage, anti ageing etc! Because the 'beauty world' on Youtube seems to have exploded in the last 7 years and also that people have access to blogs like this one, it can take some of that pressure off. People seem to be a lot more informed than they used to be and that makes people more confident in selecting a foundation which means your not stuck with a product that you won't use. Even though the shelves are packed with a thousand and one choices I think it is possible to choose a great 'all rounder' when it comes to foundation. 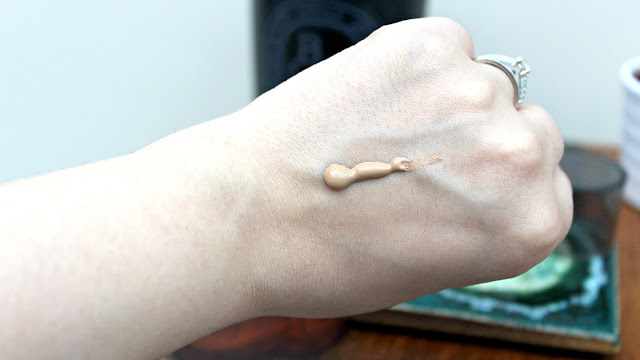 Today's hot topic is just that, if you are looking for a foundation that looks natural whilst providing great coverage and feeling light and pleasant to wear..then you could do a lot worse than this one. Packaging wise it really is one of the more premium designs on the drugstore shelf, however I do appreciate you do pay a little more when it comes to Revlon products. The exterior is small but it feels well made. It is a glass bottle with fine black font and see-through lid, I actually think the fact the pump is exposed through the transparent lid is a really nice touch BUT if it gets messy you have to bare in mind but I have had no spillage as of yet. It is also ideal for travel as it is light and compact, all in all I think we can safely refer to this product as 'packaging goals'...that's a cool saying right?! Going back to them pump not only does it release the right amount of product meaning no or minimal waste but another amazing characteristic is that it doesn't leak...yes!!! you read me right it doesn't leak. This is something not to be taken for granted and is also something a lot of brands struggle with so this is a big advantage for me. So we have covered outside of the bottle let's talk about what on the inside. This beautiful fluid is one of the best I have tried and the formula is just heavenly. It's a soft cream-like foundation that feels super light-weight. It blends beautifully and provides a gorgeous demi-matte finish, it is very natural and skin-like meaning that it doesn't look tacky or that your caked in makeup. I applies beautifully both with and brush,complexion sponge & fingertips, however I do marginally prefer applying it with a damp Beauty Blender but that is the case with most foundations. It has a gorgeously flattering appearance, it reflects the light in the right places and makes the skin look luminous and healthy. 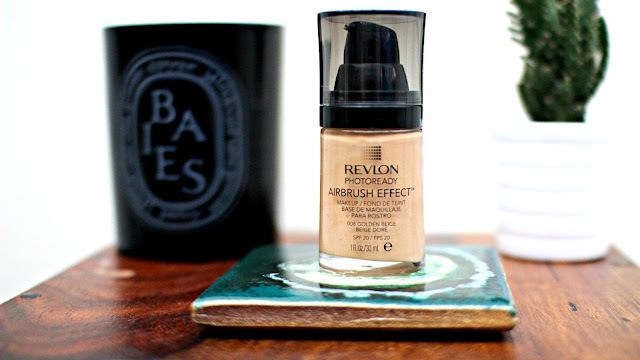 When I apply this I always seem to be asked what foundation I am wearing or what the secret to my skincare routine is. Another great thing is that it does not oxidise on me at all, it stays true to colour all day long and lasts really well. I would say I get at least 12-16 hours wear without feeling it start to diminish. Its texture is very fine but the coverage is fantastic. I would say it is a medium coverage that can be built up as needed. Because of it's light consistency it doesn't block the pores and it allows the skin to breath,so ideal for people who dislike the feel of heavy makeup. 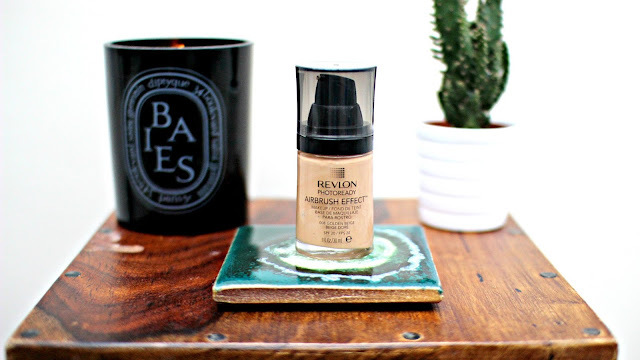 It is ideal for all skin types and has a great shade selection too so if you are thinking about trying a foundation that ticks all of the boxes I have mentioned this one is definitely worth a punt. Hope you guys enjoyed and let me know if you have any thoughts!